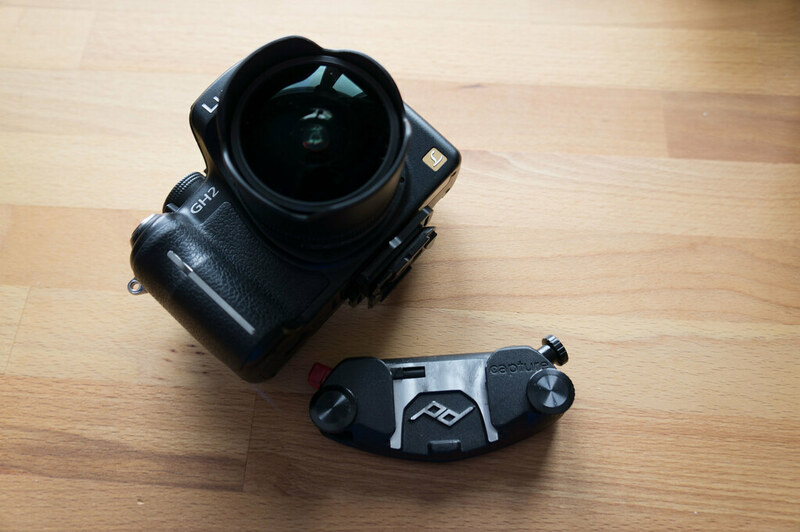 The Best Camera is the Camera that you have close at hand goes a smart saying amongst photographers, and the Peak Design Capture PRO Camera Clip helps you to have your camera so close at hand, that you never will lose a shot again. 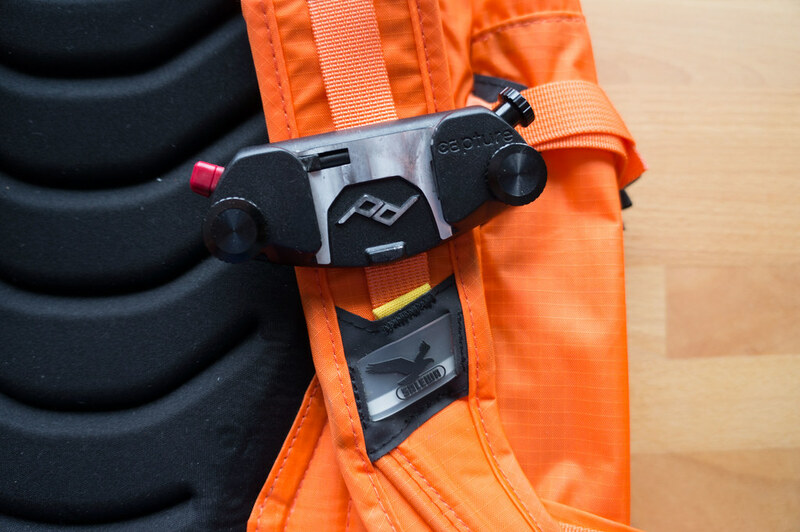 No more fumbling around with zipper and Velcro closures which are noisy and scare away wild life - a silent tab of a button and your camera is in you hand. In the pre Capture PRO Camera Clip era I used the ZPacks Multipack for several years to carry my cameras close to where I needed them. 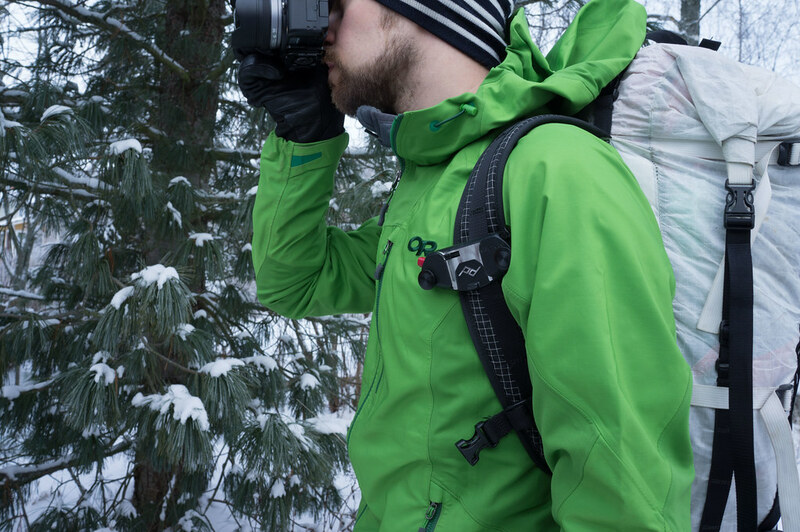 It still is a great way to carry your camera, but it lacks speed and convenience in accessing the camera when on the trail, and if you carry more gear in it getting the camera out can get fiddly. 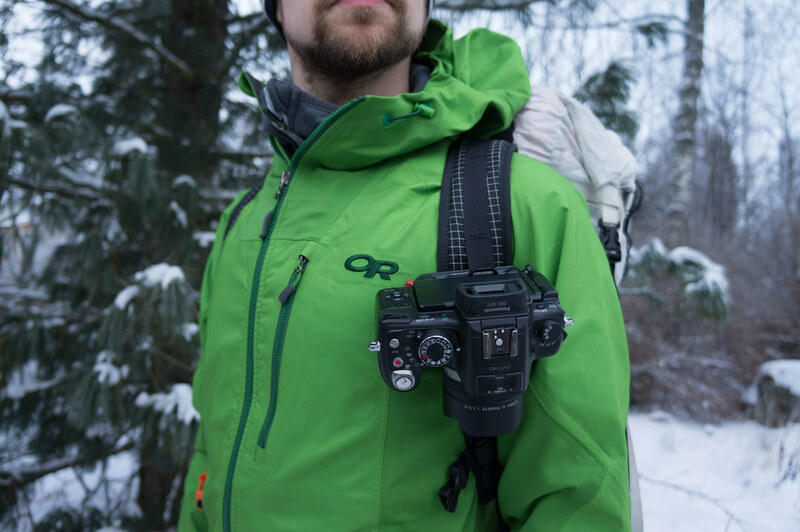 Enter the Capture PRO: A clip attached to your shoulder strap or belt and a Quick Release Plate that you screw onto your camera. 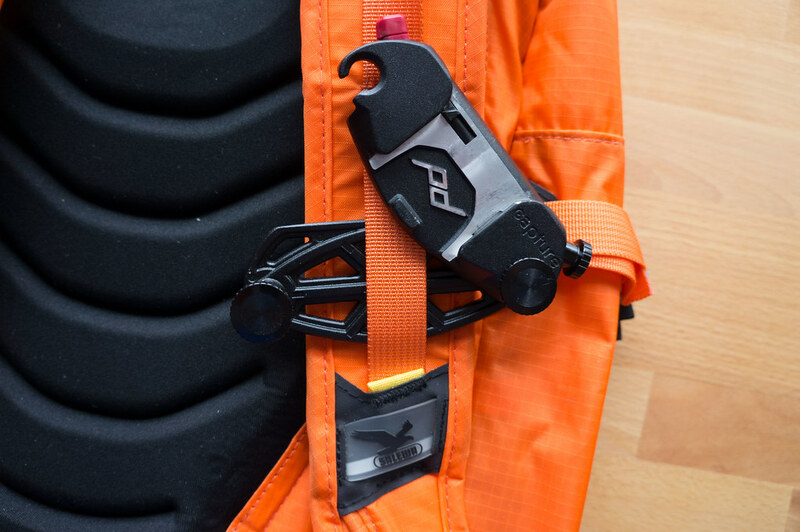 The clip is super easy to attach to your shoulder strap, and fits straps up to 7,6 cm wide. 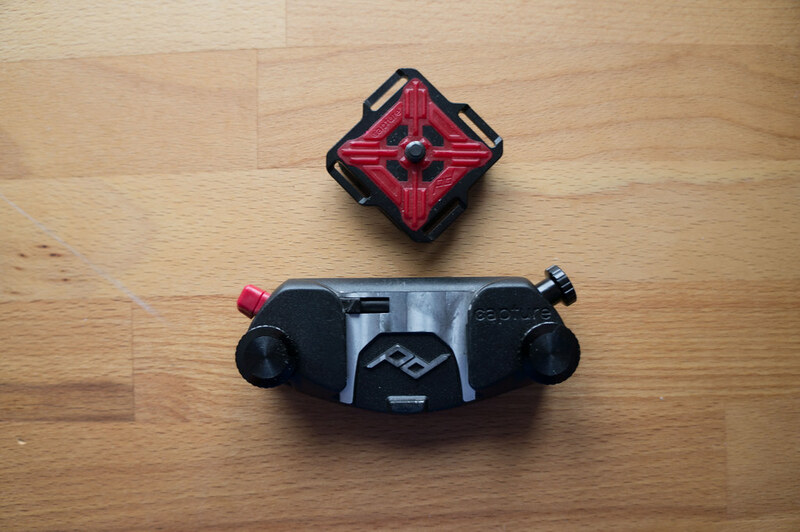 You simply open one or both bolts and slide the clip open, slide the shoulder strap between it, close the clip and screw the bolts tight - done! A matter of less than sixty seconds, as you can see here. At the beginning I thought it’s pretty heavy - that’s almost three Snickers - but in use it really didn’t bother me. I also was concerned that it might be in the way when going through dense shrubbery as on my Urho Kekkonen trip or that the clip might bother me when moving, but neither has been a problem in use. The camera rides nicely high up on my shoulder straps and even when I bushwack it’s safe & sound next to me, while the round design of the plate has meant there where no pressure points when moving. 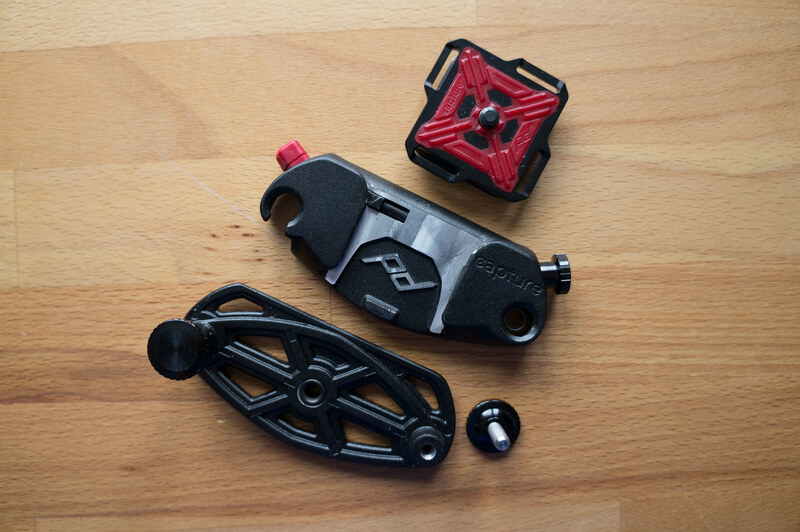 The Capture PRO also allows you to lock the Quick Release Plate when connected to the clip via the black knob on top, and the red quick-release button has a safety lock - it can be twisted to prevent theft and accidental drops. If you also carry a tripod outdoors and are concerned that you might need to mess around with screwing baseplates on and off: No worries! The Capture PRO can be either screwed atop your tripod and be used as a quick-release clamp (you might want to get two Clips in that case, one for the tripod, one for your shoulder strap) or, even simpler, cheaper and better: The PROplates Quick Release Plate work with most ARCA-type tripods, while the DUALplate also works with Manfrotto RC2 tripods. Sweet! The plates come in three different sizes, once the standard ARCAplate as pictured in my photos here, then there’s the already mentioned Manfrotto RC2 tripod-compatible DUALplate and for the M43 and Point’n’Shoot crowd there’s the MICROplate. 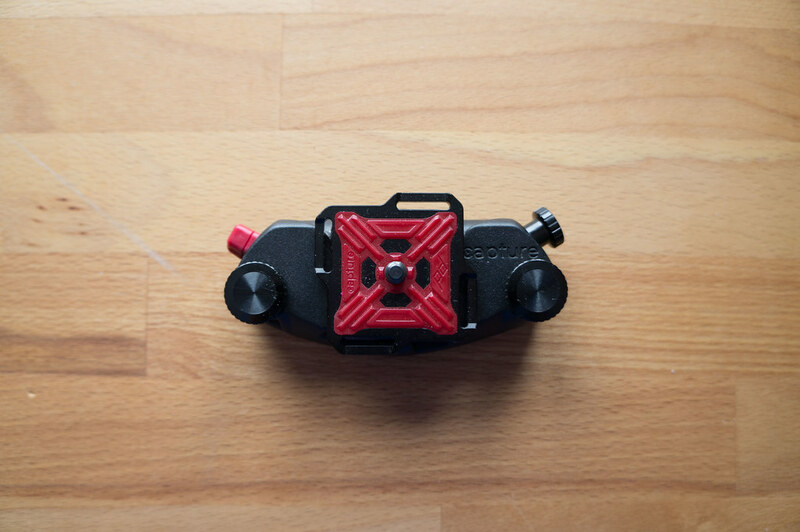 And with the brand-new POV Kit you also can wear your GoPro or a point-and-shoot on the clip and make POV videos. 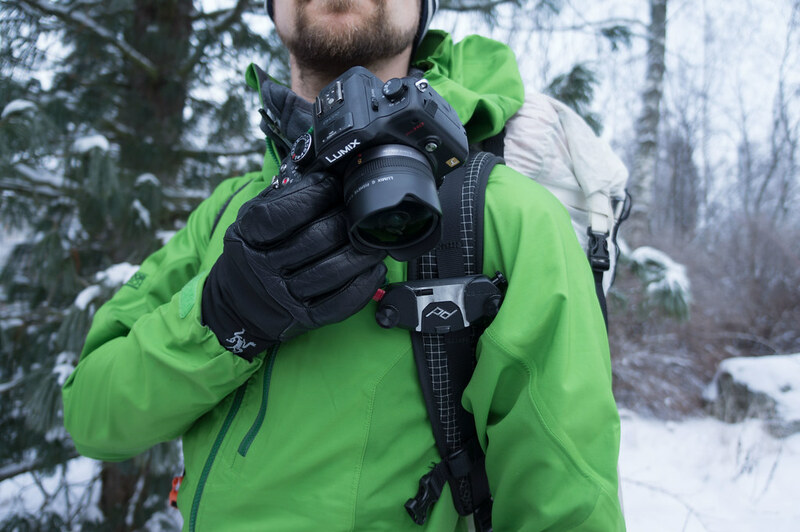 As you see, the Capture PRO is a versatile and very useful accessory for photographers who go out backpacking, skiing and climbing. It allows you to have your camera always close by so you never miss a Photo Moment™. 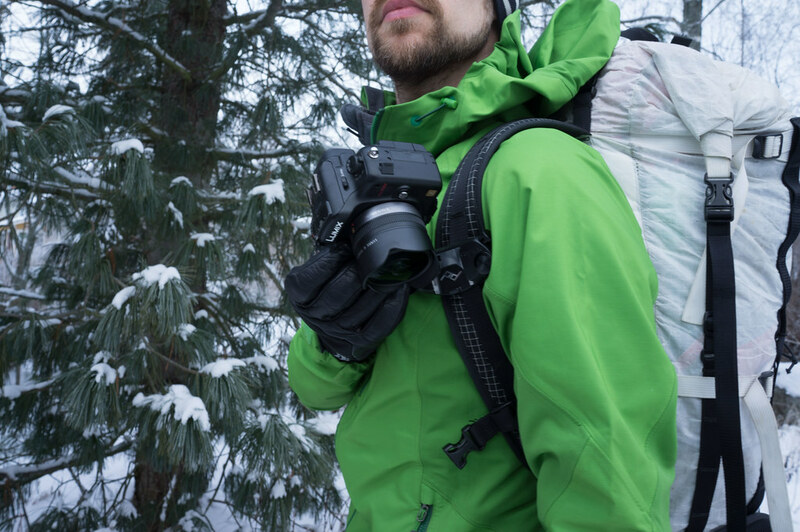 Many successful photographers use it, from Alexandre Buisse and Tero Repo to backpackers like Brian and Chad. I have used mine for almost half a year now, and can’t imagine going on a hike without it. The convenience of having the camera with the push of a button in my hand has meant less missed photos and made taking photos more intuitive: Its a difference to push one bottom and have the camera in hand or open a zipper/ Velcro closure. You can buy the Capture PRO directly at Peak Design or at Bergzeit in Europe. If you choose the former, I’m happy to offer you the Coupon Code “hikingfin” which gets you 10% off your order! Get together with a friend and order two, and worldwide shipping is even free! More photos of the Capture PRO on Flickr. Disclaimer: I bought the Micro Plate with my own money, though the Capture PRO plate was provided to me by Peak Designs. I was under no obligation to publish an article, and all reviews are based on my own subjective judgement.